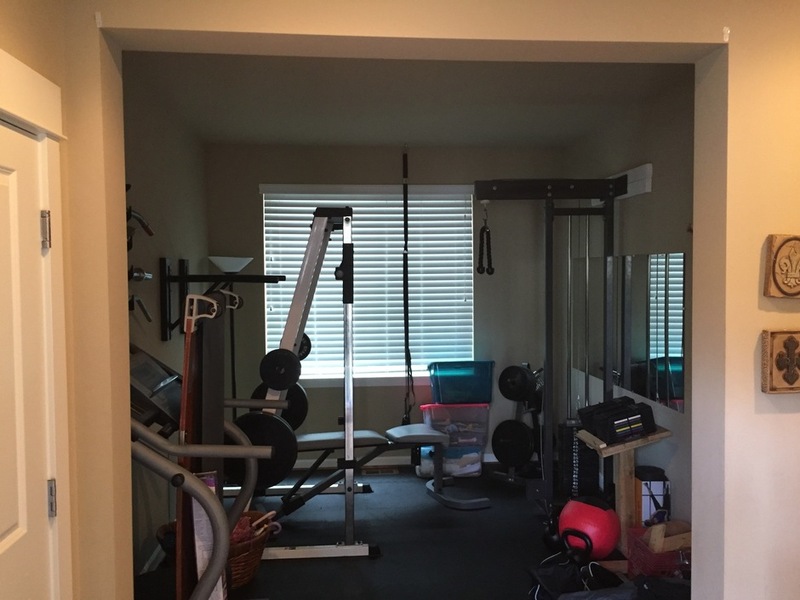 We currently have a room in our house we use for fitness. It has lots of weights and exercise equipment in it. It is not very attractive nor is it very toddler safe. We would like to block off this room with some French Tri Fold Doors that can be locked. Height: 96", Width: 77.25", Width: 8.5"
We are looking for something like the doors below. 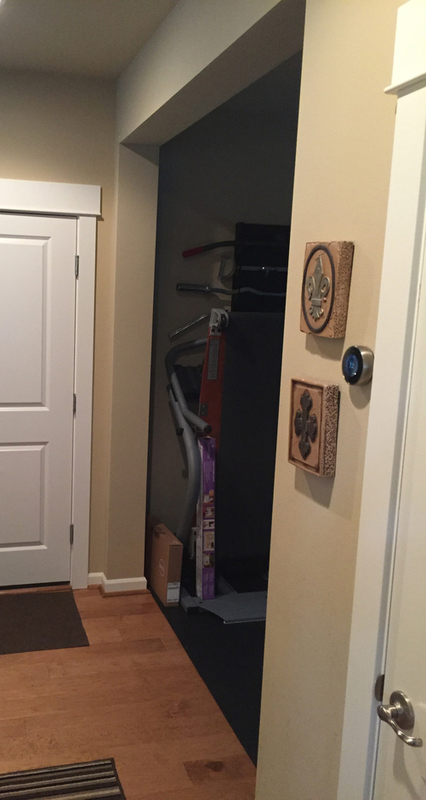 We like the door type shown in the first photo and the way the doors fold out into the hallway. 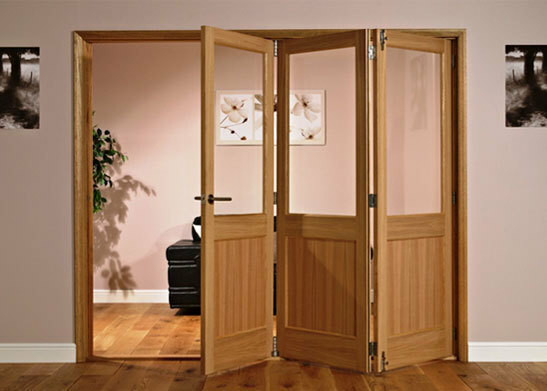 We also like the way the first door panel opens and closes without having to open the other two door panels. That first door panel would need some sort of lock to it - maybe something like the slide lock used to hold the third door panel in place when it is closed. That lock is at the top of the door and cannot be reached by a toddler. We like the glass used on the second photo - slightly frosted so you cannot see the equipment inside the gym. All of this would need to be installed, painted and finished. We are open to other suggestions and options that closely resemble this design. You can contact me here for more information.